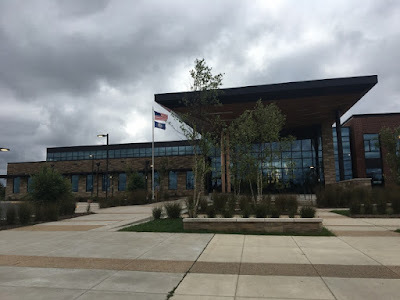 On 9/13/18, under a sky grayed by not-so-far-off Hurricane Florence, I spoke at the beautiful (and beautifully led) Frederick County Middle School in Winchester, VA (where, by chance, the final scene of Batman & Bill was filmed). 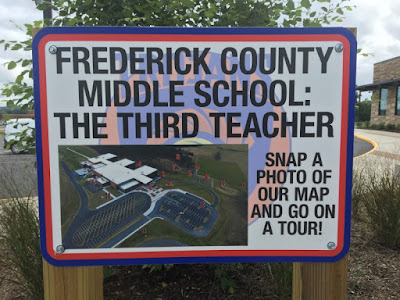 Walking in, I noticed a sign referring to "the third teacher." 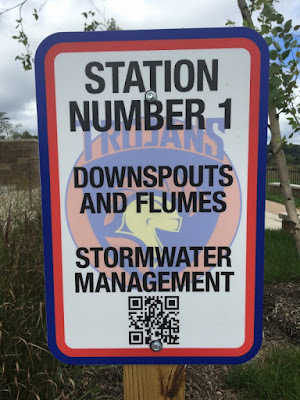 I was pretty sure the school had more than three so I was immediately curious why this one was being singled out. I learned that the first teacher is the teachers. Second is the students. Third is the building itself. It's fairly new and it's green and it's dotted with QR codes; when scanned, they reveal information on the way some aspect of the building (such as stormwater management) functions. Making a cool idea even cooler, that info was researched and written by the kids. One aspect of the building I did not need a QR code to understand: no mirrors in the bathrooms. Where they would usually hang are instead colorful, breezily written signs about issues that matter to emerging adolescents but that they may not ask about, such as personal hygiene. Principal Jerry Putt is a gift to the profession—he's got a "Care Halo." You can tell inside of 30 seconds how much he loves students. 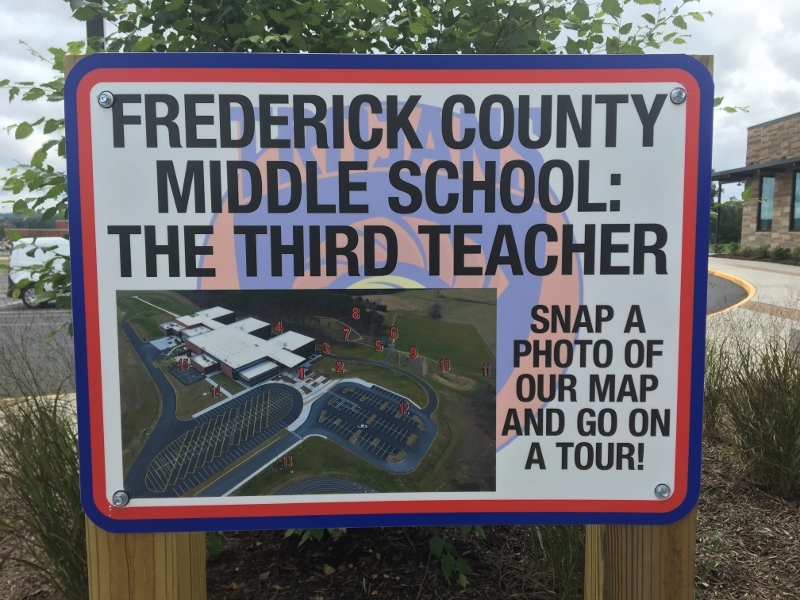 Maggie Schrock made my visit possible and was on the team that created the third teacher concept. Thanks to you both for inviting me to see the wonderful goings-on at FCMS. Thank you also to WDVM-TV and The Winchester Star for covering my visit.